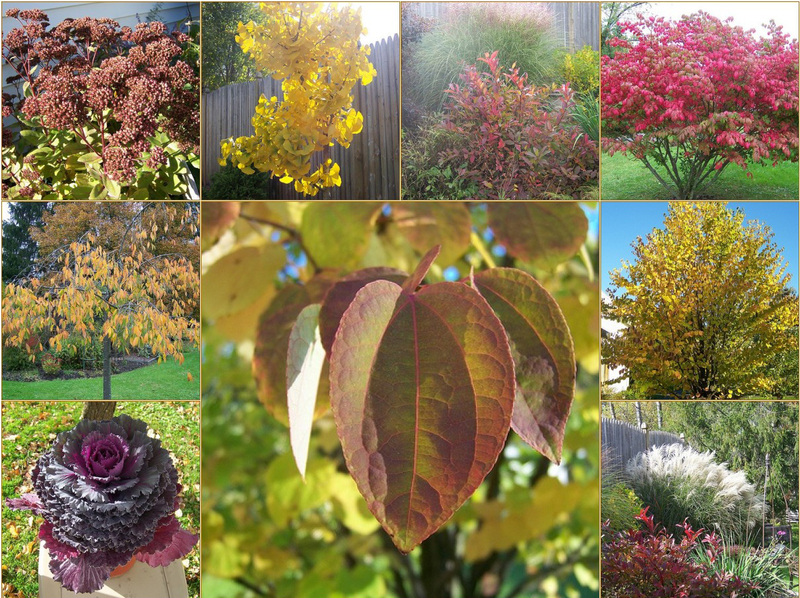 While enjoying some sunshine today I snapped a few more pictures of the gardens in bright autumn colors. As things wind down I think this will be the last of the autumn colors. 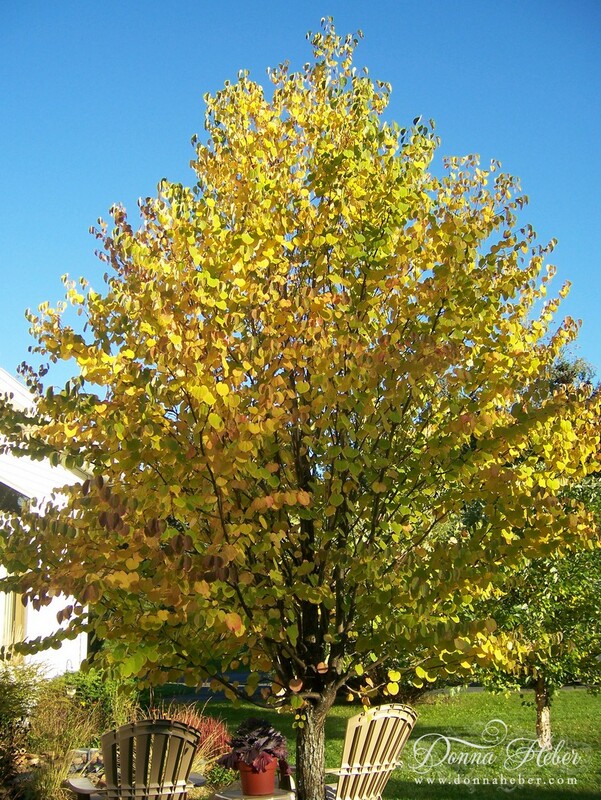 Katsura tree with apricot-yellow foliage. Notice the heart shaped leaves on the branches? Virginia Sweetspire with Morning Light Maiden Grass. The Burning Bush is turning a scarlet red. 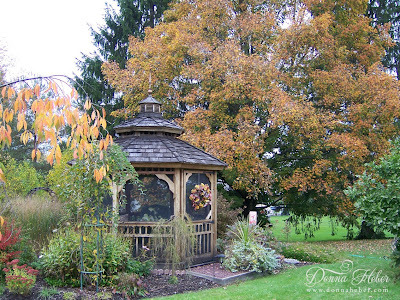 A picture of the gazebo with our maple tree. A Ginkgo 'Princeton Sentry' tree has a striking yellow color with fan shaped leaves. This tree can live more than 1,000 years. 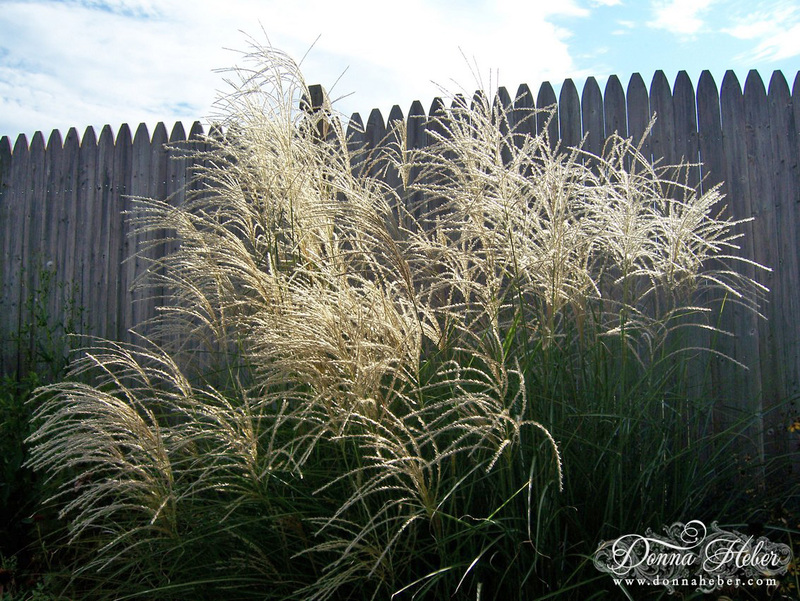 This is a Miscanthus sinensis 'Graziella' grass. Huge, feathery white plumes bloom above slender, upright foliage clumps. 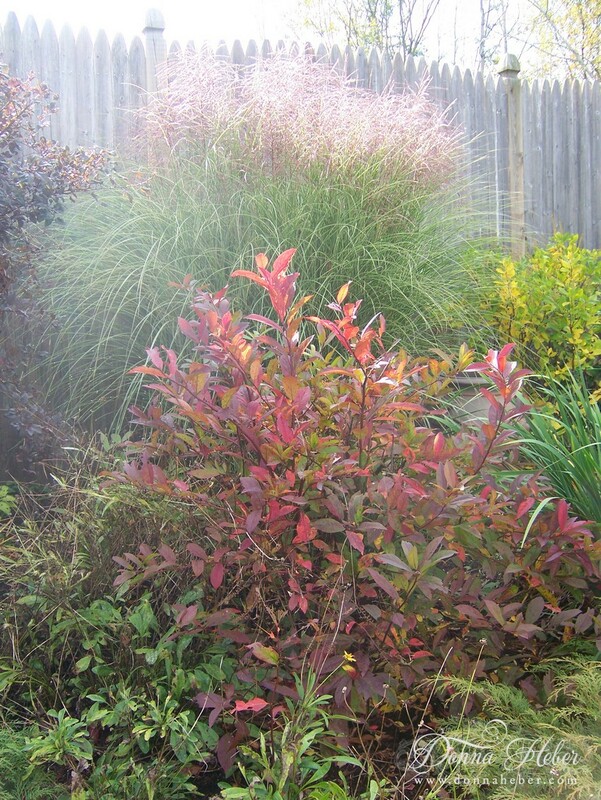 This refined ornamental grass has rich, coppery-red and orange fall color and will not become invasive. It is a good choice for northern gardeners. Donna everything looks wonderful in their Autumn colors. Your Gingko is beautiful. We'll have to look hard for some colour in a few months, won't we? We were given ginkgo seedlings as a gift at our horticultural convention last year so I donated mine to our local arboretum. Wouldn't you know a deer came along and ate the top off. At least it put on a little growth this summer. Beautiful pictures! Such gorgeous colors! It's a pretty time of the year for sure! The Gingo is stunning in color! I wonder if those grow here...I know the name but I am not familiar with seeing them at the nurseries. Your yard is so pretty...very attractively laid out! Beautiful colours and you still have a blue sky. Lovely. We're in monsoon season! I love Fall pictures. It looks so beautiful where you are. I really like the beautiful grass you have. 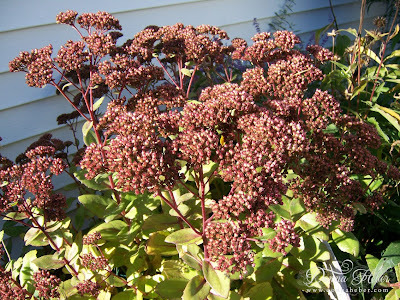 I am planning my plantings for next year in our new gardens and this one seems perfect for the back of the yard. Thanks for sharing! 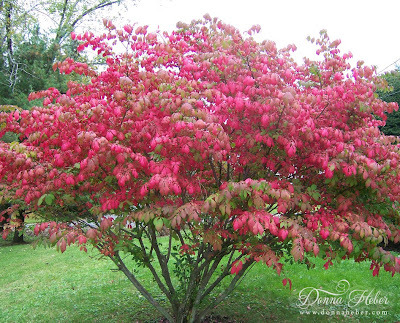 gorgeous trees and beautiful colours they have donna. Your gardens are lovely! Your Gingko is stunning! I am in the South and the leaves are just starting to turn here. Have a great weekend! 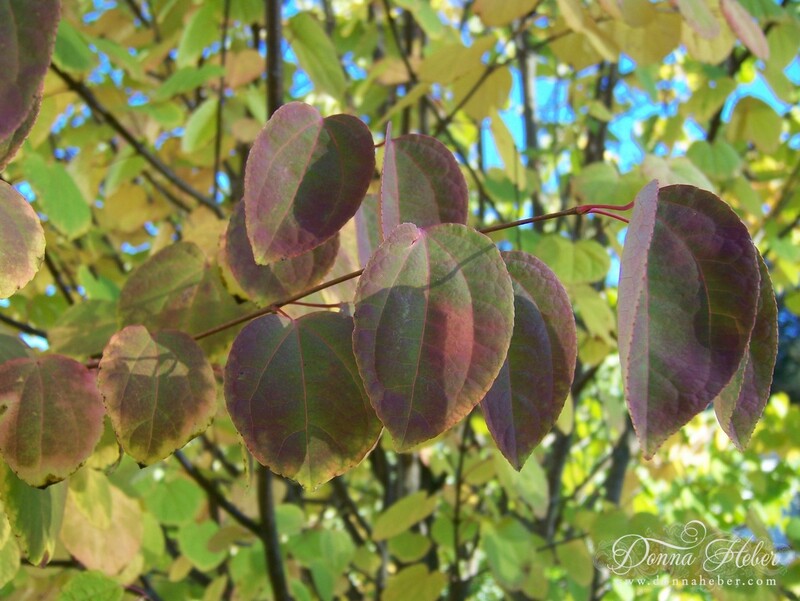 Love the fall colors! We are Gingko tree lovers ... have five of them. Such lovely pictures of your garden, Donna. Wish I could visit. lol Leaves have changed and pretty much all fallen here. That's ok, I love winter too, that is the snow, not the cold! What a beautiful fall garden you have! I hope my newly planted Morning Light Maiden Grass looks as lovely as yours when it matures. How many years have you had yours? 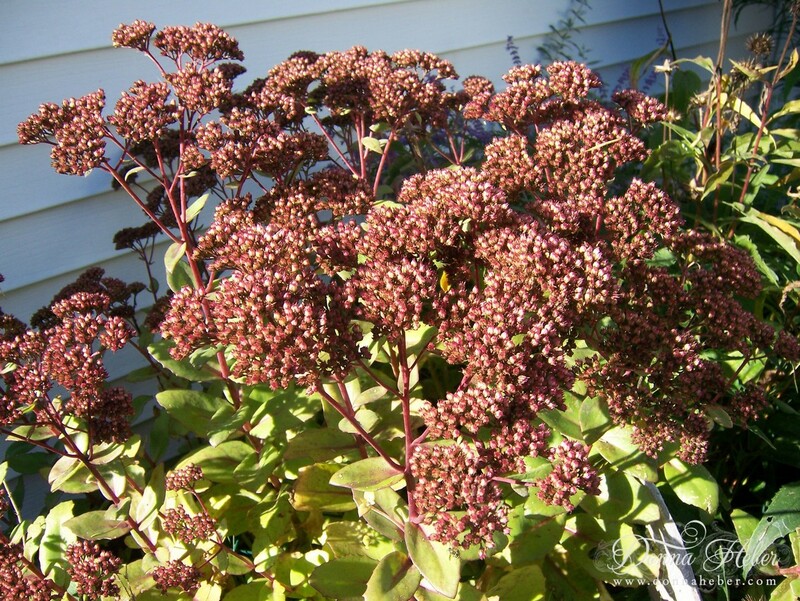 I just planted mine this year and it did nothing...big zippo! I don't think it grew an inch. I was so disappointed! Absolutely beautiful!!! Thank you so much for sharing your garden with Garden Tuesday.